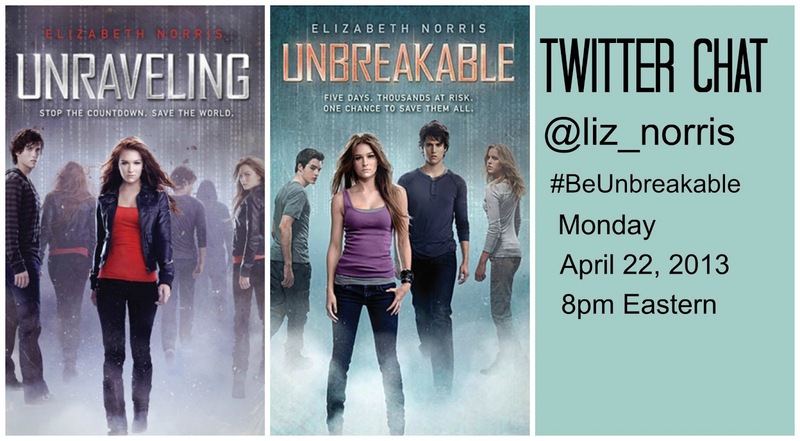 Be sure to use hashtag #BeUnbreakable to follow the conversation. Tweet a random page number to me, @maryinhb and Elizabeth will give you a taste from that page. How cool is that? Reminiscent of Before I Fall, Elizabeth Norris's Unraveling blends realistic coming-of-age issues and heart-stopping romance with something just a little bit more. In this case, a gripping science fiction world. Unraveling's heroine, seventeen-year-old Janelle Tenner, is used to having a lot of responsibility. She balances working as a lifeguard in San Diego with an intense academic schedule. Janelle's mother is bipolar, and her dad is a workaholic FBI agent, which means Janelle also has to look out for her younger brother. And that was before she died...and is brought back to life by Ben Michaels, a mysterious, alluring loner from her high school. The more Janelle tries to figure him out, the more she starts to believe he's connected to a case her father is working on. The one where people are dying of radiation poisoning and the body count is rising. The one that involves a strange clock that seems to be counting down to the earth's destruction. If Janelle wants to stop the clock and save the world, she has twenty-four days to uncover Ben's secrets--and keep from falling in love with him. From debut author Elizabeth Norris, comes this shattering novel of one girl's fight to save herself, her world, and the boy she never saw coming. In addition to Ben, Barclay, and Janelle, Unbreakable brings back fan favorite characters Elijah and Cecily in this action-packed thriller. Before Ben Michaels saved Janelle Tenner's life, Janelle saved Ben when he stumbled through an interuniverse portal into a completely new world. That day, he fell in love with the girl of his dreams. And he never forgot her. Through three stories told from Ben's point of view, learn how Ben and his friends discovered their ability to travel between worlds, how Ben first met Janelle, and how he pined for her for years before he actually got the chance to meet her, save her life, and capture her heart. 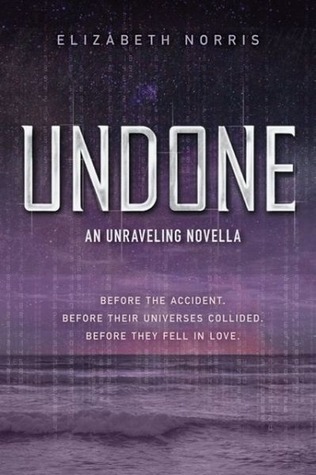 And find out what happens to Ben between the cliff-hanger conclusion of Elizabeth Norris's Unraveling and the beginning of its heart-stopping sequel, Unbreakable.